Dr. Wilson will be flanked by Peter Alden who will introduce him and guide a lively Q&A from Nuttall and audience members. Dr. Robert Ridgely will end with a short, illustrated presentation on the history of the Cordillera Azul Antbird recently named for Dr. Wilson. 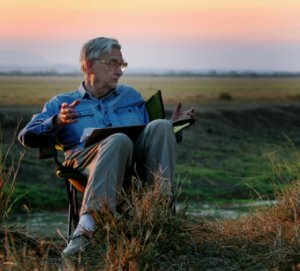 Edward O. Wilson is recognized as one of the creators of two scientific disciplines (island biogeography and sociobiology), three unifying concepts for science and the humanities jointly (biophilia, biodiversity studies, and consilience), and one major technological advance in the study of global biodiversity (the Encyclopedia of Life). Among more than one hundred awards he has received worldwide are the U. S. National Medal of Science, the Crafoord Prize (equivalent of the Nobel, for ecology) of the Royal Swedish Academy of Sciences, the International Prize of Biology of Japan; and in letters, two Pulitzer Prizes in nonfiction, the Nonino and Serono Prizes of Italy, and the COSMOS Prize of Japan. He is currently Honorary Curator in Entomology and University Research Professor Emeritus, Harvard University.